Above, Bidens ferulifolia; and Bacopa ‘Giga White’. 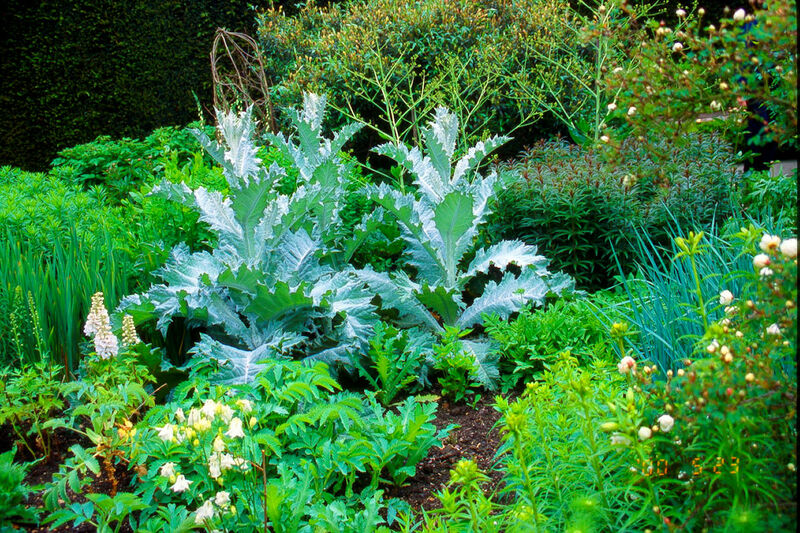 Below, Cardoon (very young plants on May 24th at Sissinghurst in England); Scaevola growing in a Chelsea garden show garden and English Daisies. A New Year usually brings with it some sort of look back, as well as thoughts of what may be ahead. For indoor and outdoor gardeners, 2017 was I suppose somewhat of an average year-with likely as many successes as failures for most who practice the world's most popular of pas-times! My choice of the most significant trend in gardening would have to be not the great growth of interest in container gardening, or perennials generally, about which we often read and hear. Rather, it is the huge explosion of new varieties and cultivars of plants, as well as of new hardware and equipment. This no doubt comes about due to the great growth of the hobby itself. The rush by growers and suppliers to get new items onto the market often means a sacrifice in the basic testing and research that is needed. Here's an example. Beginning early in 1997, I wrote and broadcasted extensively about a "new" (to us) annual called Bidens. It is a vigorous grower that hangs beautifully from baskets and raised containers. It has yellow flowers slightly smaller that Coreopsis 'Moonbeam' and is in bloom from early spring until a heavy frost. 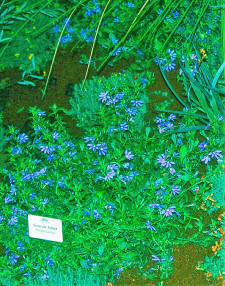 In fact, I saw it growing and blooming well last year in mid November in the Channel Islands. When I first mentioned it to Brian Minter at Minter Gardens in British Columbia (one of Canada's top experts on annuals), he warned if growers were not careful choosing the source of their seed they could well wind up with plants that have extremely long internodes; i.e. get extremely leggy. And folks, that seemed to be exactly what happened with most of the Bidens sold in southern Ontario--at least those that I planted and observed elsewhere. Hopefully, now 20 years later, growers will have an improved strain of this great annual for us. And incidentally, I originally saw Bidens growing inter-planted with red and pink balcon (cascade) geraniums. It looked great--but that was because they were not too leggy. This example serves to illustrate that we should not assume that everything new that's introduced is going to be great--even if we've seen it growing and doing well elsewhere. 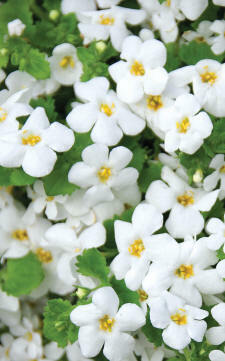 Something that did do well for most people in Canada in the last couple of years is Bacopa 'Snowflake'. 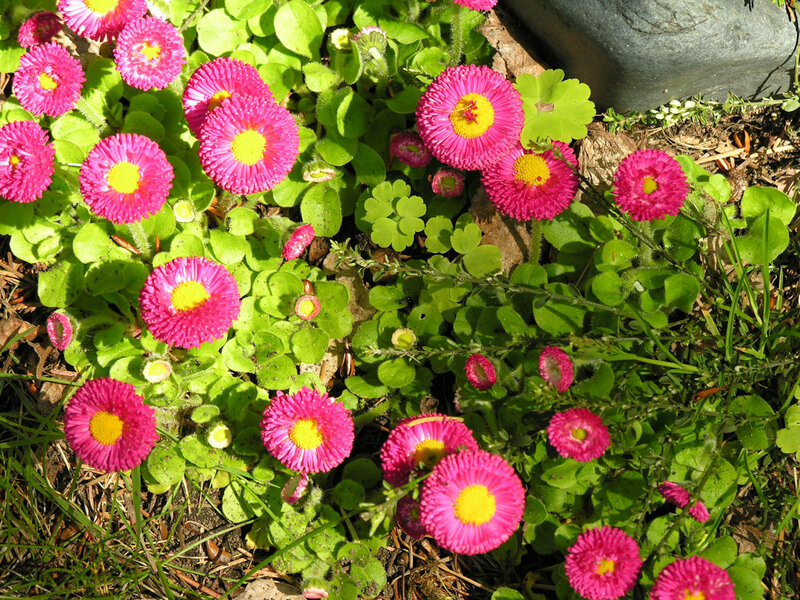 This is a low-growing annual with tiny white (or light mauve) flowers all season. It too does well in hanging containers. In talking with Larry Hodgson last week (he gardens and writes/broadcasts from Quebec City), he told me it had not done too well there. He ascribed that to the high degree of moisture they had. Well, there may be a solution. Brian Minter tells me there is a new cultivar of this favourite coming from Australia. It is called 'Snowstorm' and said to be more tolerant. Something else that I noted doing extremely well at The Niagara Parks Commission Botanical Garden and School of Horticulture (my alma mater) this summer was cardoon (Cynara cardunculus)--a gray-green thistle-like herb. This is a large-foliage plant with bluish-green, heavily textured leaves. It makes an excellent tall accent point (grows to 1.8 m. or 6') in full sun, if you have a lot of space to be filled. For this year, keep an eye out for new (improved?) 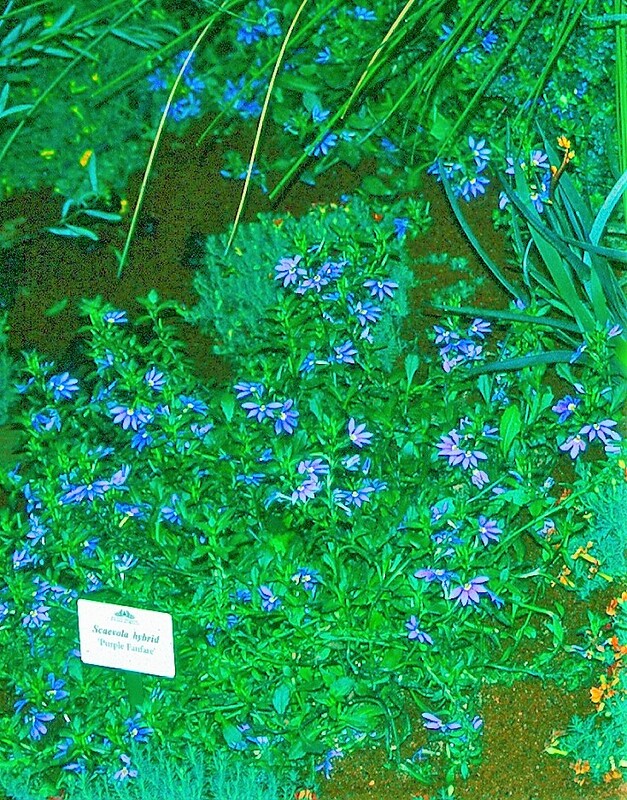 varieties of Scaevola (Australian fan flower)--that wonderfully successful blue annual that has only been with us about five years. There are also pink-and white flowered cultivars now. 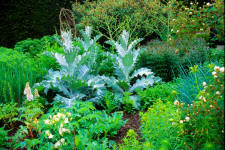 Due to its versatility, it is seen everywhere: beds, borders, baskets, boxes, and in sun as well as part shade. 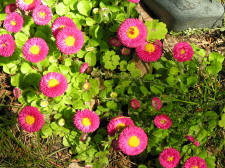 You should also be on the lookout for a new yellow impatiens, a sun-tolerant coleus (not avail-able from seed), a hardier form of English daisies (Bellis perennis), and a new, short and compact Linaria. You might also be interested in a new ornamental sweet potato--'Blackie'. There will be ever so many more new items, and I'll likely write about many more of them here over the next weeks.